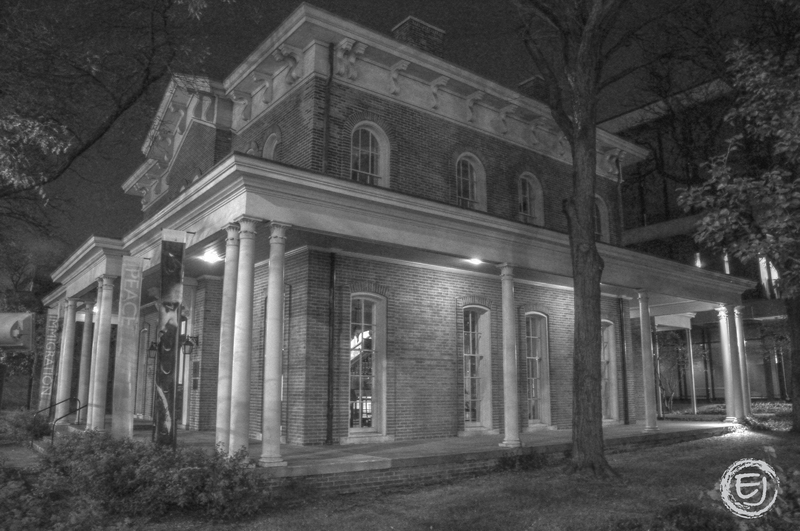 Hull House was constructed by Charles J. Hull at Halsted and Polk Streets in 1856 at a time when this was one of the most fashionable sections of the city. After the Chicago Fire of 1871, the “better classes” moved to other parts of the city and the Near West Side began to attract a large immigrant population of Italian, Greek and Jewish settlers. By the 1880’s, Hull House was surrounded by factories and tenement houses and soon after, became one of the most famous places in Chicago. Jane Addams ran the Hull House, a settlement house that took in the recently-arrived European immigrants. Paranormal Activity: Charles Hull’s wife died in her bedroom, which Jane stayed in until she was disturbed by constant footsteps from no one. Mrs. Hull is supposed to haunt her bedroom, walking and making unearthly noises. Many of Addams’ friends that stayed the night reported similar activity. There is also legend of a “Devil Baby”. People also say that they have seen the face of the Devil Baby, a child with a disfigured face, peer out of the attic window, even today. Hull House received its greatest notoriety when it was alleged to be the refuge of the Chicago “devil baby”. This child was supposedly born to a devout Catholic woman and her atheist husband and was said to have pointed ears, horns, scale-covered skin and a tail. According to the story, the young woman had attempted to display a picture of the Virgin Mary in the house but her husband had torn it down. He stated that he would rather have the Devil himself in the house that the picture. When the woman had become pregnant, the Devil Baby had been their curse. After enduring numerous indignities because of the child, the father allegedly took it to Hull House. After being taken in by Jane Addams, staff members of the house reportedly took the baby to be baptized. During the ceremony, the baby supposedly escaped from the priest and began dancing and laughing. Not knowing what else to do with the child, Jane kept it locked in the attic of the house, where it later died. Rumors spread quickly about the baby and within a few weeks, hundreds of people came to the house to get a glimpse of it. How the story had gotten started, no one knew, but it spread throughout the west side neighborhood and was reported by famous Chicago reporter Ben Hecht. He claimed that every time he tried to run down the story, he was directed to find the child at Hull House. Many people came to the door and demanded to see the child, while others quietly offered to pay an admission. They believed the wild story to be absolutely true! Each day, Jane turned people away and tried to convince them that the story was fabricated. She even devoted 40 pages of her autobiography to dispelling the stories. 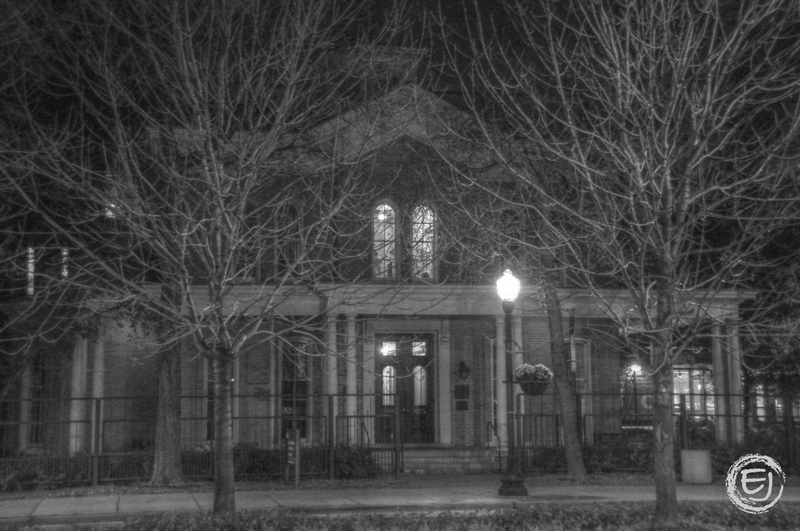 Even though most of the poorly educated immigrants left the house still believing the tales of the Devil Baby, the stream of callers eventually died out and the story became a barely remembered side note in the history of Hull House. As the years have passed, some people still maintain the story of the Devil Baby is true… or at least contains some elements of the truth. Some have speculated that perhaps the child was actually a badly deformed infant that had been brought to Hull House by a young immigrant woman that could not care for it. Perhaps the monstrous appearance of the child had started the rumors in the neighborhood and eventually led to Hull House. Regardless, local legend insists that at some point, there was a disfigured boy that was hidden away on the upper floors of the house. The stories also go on to say that on certain nights, the image of a deformed face could be seen peering out of the attic window…. and that a ghostly version of that face is still seen by visitors today! 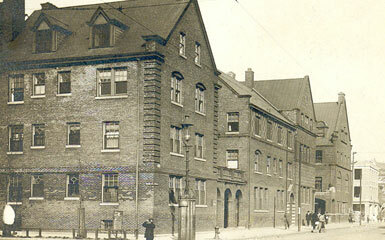 HULL HOUSE is located at 800 South Halsted Street in Chicago and is open to the public as a historic site. This entry was posted in Architecture, Chicago, Historic Landmarks and tagged Haunted Chicago, Jane Addams Hull House. Bookmark the permalink.